A candidate has to first register in the website and fill his / her Choices. Candidate should check that the choices are given in the desired serial (best choice as first and second best as second and so on). Always “SAVE” your choices whenever you are working. The detailed step by step procedure for, registration, choice filling, locking, registration and counselling fee payment, seat allotment, withdrawal and up-gradation is elaborated in the brochure. 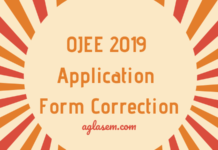 Here you can get information regarding OJEE 2019 Counselling Registration. 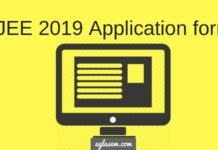 The qualified candidates of OJEE 2019 and other candidates who will qualify national level Entrance Tests are required to register online through the internet from places of their convenience through the OJEE counselling website www.ojee.nic.in to participate in counselling process. Registration & Choice Filling: BHMS AND BAMS Candidate registration and login will be available on the official website i.e. Ojee.nic.in. Go to website www.ojee.nic.in and click at NEW REGISTRATION. Register yourself by selecting the appropriate course and then enter Roll Number and Date of Birth. Click on “Submit” button to proceed further. Fill all the data as required. Please give your authentic mobile number. In the next screen, click the PRINT DETAILS button to get the printout of the Registration Slip and keep it safe for further use. After successful registration, Fill Choices. Candidates should arrange the filled in choices in order of their preferences of college / branch. One college with one branch is treated as one choice. Select as many choices of Institutions and branches as possible on priority basis to have better option for allotment of a seat in the process. After completing the choice filling and locking, click on “print locked choice” button to take a print out of Filled in Choice Slip for your reference. OJEE Web Counselling Procedure given below is of the last year details and only given for the reference purpose. 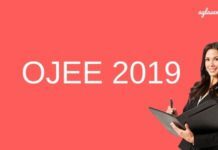 Insofar, Official details of OJEE 2019 Counselling has not been announced yet. Information in this page is as per the last year details. As soon as the conducting body release the rest of the information the same will be updated here. Sir…. Why M.tech CHOICE FILLING OPTION is not showing?? ?